“Makeup is there for you to play. It’s there for you to have fun with. It should never feel like pressure and it should never feel like a uniform. Feel free to take chances and take risks and dare to do something new or different”. This was the statement given by R’n’B superstar, as well as fashion and beauty icon, Rihanna ahead of the launch of her brand new makeup collection, Fenty Beauty. Exclusively available online and at Harvey Nichols, this new and exciting makeup brand is being hailed as “the new generation of beauty” by beauty experts and fans alike . The idea to launch this collection originated from Rihanna’s love of makeup, as well as her desire to create products which would cater for different women’s skin types from all over the world. The concept behind Fenty Beauty is simply that women with the palest or darkest of skin should be able to shop comfortably and hassle free, selecting products which match their skin seamlessly to create a faultless look. As it stands, Fenty Beauty is currently very much focused on makeup lovers achieving the “natural look”. As a result, the collection does not stock any eye shadows, mascaras, brow products or lipsticks. However, this is not likely to dissuade potential customers as there is still a wide range of products available, all of which are 100% cruelty-free. For creating the perfect base and ideal coverage, the Pro Filt’r Instant Retouch Primer and Soft Matte Longwear Foundation are currently the two most popular products on sale. The primer is oil free and lightweight, which gives that “barely there” feeling when it comes into contact with skin and protects the rest of your makeup from wearing off your face. The foundation, which is also oil free has been described as “boundary-breaking” as there are 40 shades available. This product is therefore being applauded worldwide as there is not one skin tone which has been excluded – an issue for which other popular makeup brands have come under fire. The lightweight texture of the foundation is also undetectable on skin, “so you always look like you”. The makeup artists who work at the Fenty Beauty stand in Harvey Nichols Dundrum are currently offering free foundation testing to help beauty fans find the perfect shade for their skin tone. The Match Stix Trio has three aims – to conceal, contour and highlight. These creamy skinsticks allow you to easily sculpt and highlight your cheekbones as well as hiding any blemishes. However, as Rihanna is encouraging creativity with this brand, the Shimmer Skinstick in particular is not being confined to highlighting. Beauty lovers from all around the world are using these products as a substitute for eye shadows and lipsticks. Searching the FENTYBEAUTYxHN and FENTYFACE hashtags on social media channels such as Instagram allows fans to showcase their creative makeup skills using the products as well as interact with each other on how to achieve different and unique looks. The Killawatt Freestyle Highlighting Powder is one of Rihanna’s favourite products from this collection and it is easy to see why. The sparkling gold shade adds a pop of colour to anywhere users want to highlight. It looks particularly stunning on the cheekbones, collarbones and eyelids. The Gloss Bomb Universal Lip Luminizer, much like the foundation, has been met with praise from fans worldwide. It is the only lip product available in the collection and is only available in one shade. What is so interesting about this lip gloss is is that its glossy texture and rose gold pigments make it a shade that suits all skin types. Whether you are pale, tan or dark, this lip gloss is guaranteed to make your lips pop and look as good as they feel. Where would a craftsman be without his tools? Fenty Beauty also stocks brushes and sponges to apply your makeup. The range includes the Full-bodied Foundation Brush, Cheek-hugging Highlight Brush and Precision Makeup Sponge, as well as three portable brushes for contouring, concealing, and highlighting. The Invisimatte Blotting Powder and Paper allow you to touch up your makeup as you see fit during the day or night. Beauty trends and makeup skills are constantly evolving and being redefined in today’s society. Fenty Beauty has managed to represent such trends, which is a large part of the reason as to why it is so popular. A gorgeous range of products catering for makeup fans of all cultures and minorities which was designed by a creative and empowering global superstar – what’s not to love? With an increasing interest in the world of beauty these days, makeup is not hard to come by. 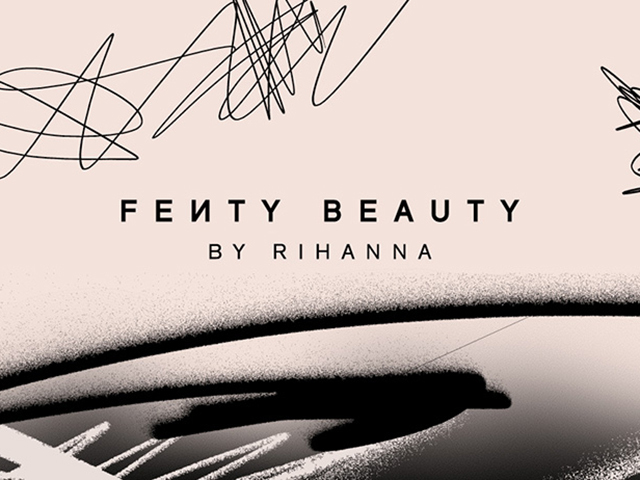 And while there are a million makeup brands to choose from, there is currently nothing quite as unique or groundbreaking as Fenty Beauty.